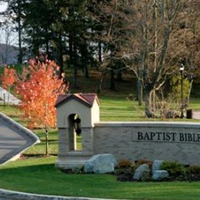 As its name suggests, Baptist Bible Seminary is historically tied with Baptist Bible College (now Clarks Summit University). The former began in 1932, tied with First Baptist Church of Johnson City, New York. In time, the college would move to Clarks Summit, a suburb of Scranton, PA. The seminary's first classes were held in 1972 and gained its own home, the Stowell Seminary Building, which houses classrooms, faculty and staff, and chapel. The seminary and college both are Baptist though not officially affiliated with any specific group. The theological bent is decidedly dispensationalist. BBS offers numerous master's-level degrees, including the MDiv with concentrations in various forms of ministry (e.g. church planting, military chaplaincy, pastoral counseling). Most of the requirements for the MDiv can be earned online if desired. A Master of Ministry is also available, offering the same concentrations and can be earned either online, onsite, or a combination of both. A Master of Arts in Biblical Apologetics is offered and is a 100% online program. The final master's program is the ThM, which is offered in a combination of online and onsite classes. Regarding doctoral programs, the DMin degree is offered with concentrations in various forms of leadership as related to ministry (e.g. Leadership in Pastoral Ministry, Leadership in Theological Studies). 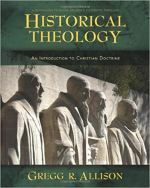 Finally, the PhD degree is available with concentrations in Old Testament, New Testament, Systematic Theology, or Bible Exposition. Like the ThM, the PhD is a non-resident program offered in a combination of online and brief onsite courses. Students at BBS have ample opportunity to both work and play outside of the classroom. Unlike most seminaries, BBS students are actually required not only to attend a "Bible-believing church" while enrolled, but also to serve in some ministerial capacity while attending the church. Students are also required to attend daily chapel services. However, it's not just work and no play. As students of Baptist Bible College and Seminary, students have access to all college facilities, including the Phelps Student Center where students can play basketball, volleyball, pool, or ping pong. For personal fitness, students can lift weights and engage in cardiovascular exercise. The campus itself is quite large, and at 121 acres is also located in a beautiful area of Clarks Summit. BBS is also a mere 15 minutes away from Scranton, PA, if you need a bit more city life. Philadelphia and New York are also roughly 2 hours away if you need the big city life. BBS offers limited housing for single students in Nordling Hall, with both room and board available. The seminary expects most students to reside in the Clarks Summit area during the school year. The school's Student Development Office will assist students in finding adequate housing in the area. BBS offers several types of financial assistance to students in their seminary education. The seminary encourages students to pursue Training Timothys Scholarships, in which the seminary will match up to $1,000 each semester for a total of $12,000 during a three-year MDiv program. In addition to the Training Timothys Scholarships, BBS offers numerous competitive awards at the end of every school year to qualifying students. Federal Work Study and Direct Loans are also available. Finally, the BBS Financial Aid office offers assistance in locating and applying for outside scholarships.